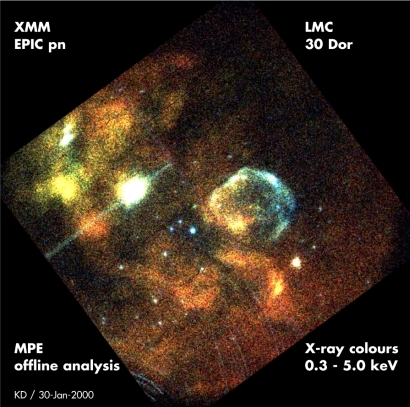 This X-ray colour image made with the EPIC camera on XMM shows part of a small companion galaxy to the Milky Way, the Large Magellanic Cloud, where stellar explosions are releasing newly manufactured elements, and new stars are being formed. The image is made so as to reveal the temperature of the X-ray emitting medium, with blue indicating the hottest regions; green the intermediate temperatures and red the coldest regions. 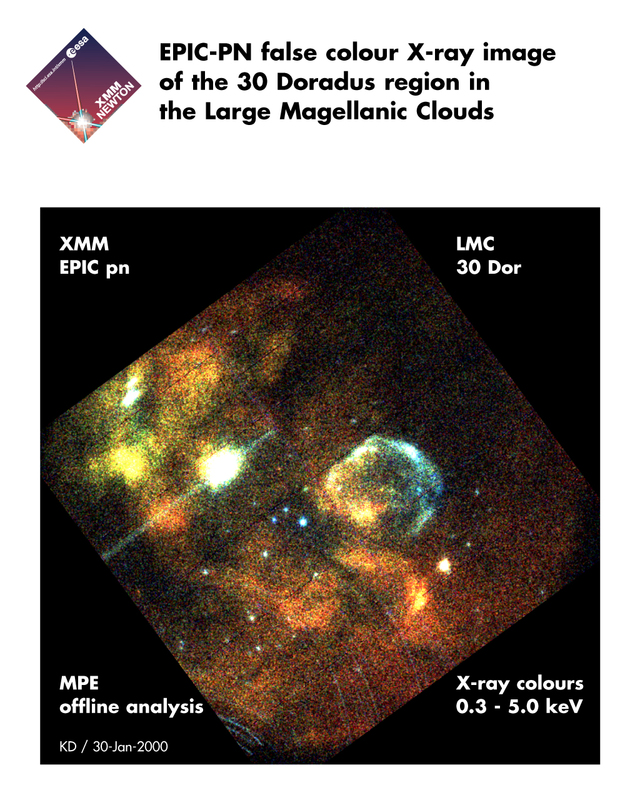 Most of the 'blue' X-rays have not been observed before, and it is the collecting power of XMM that enables these observations.